DOC Threatened Species Ambassador Nicola Toki tells us about her threatened species work in Australia, helping scientists catch platypus and learning about maremma sheepdogs. 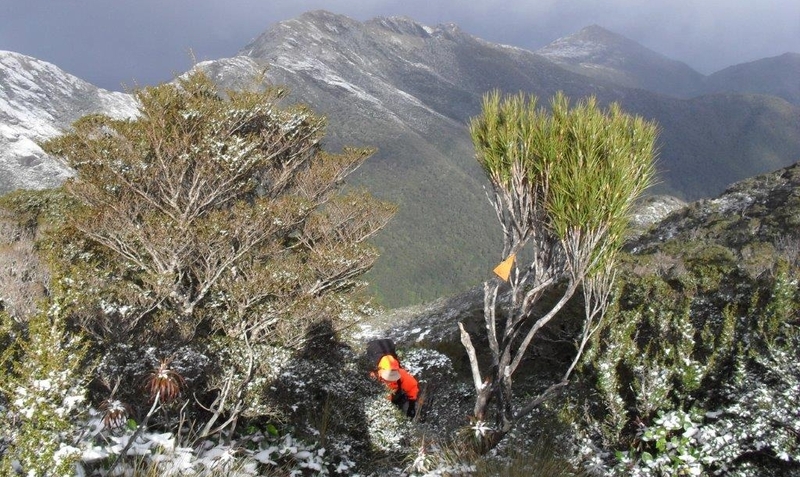 I recently spent seven days on the Fiordland coast, along with other DOC staff and a group of passionate volunteers, undertaking trapping work on Resolution Island, an offshore reserve for our native species. 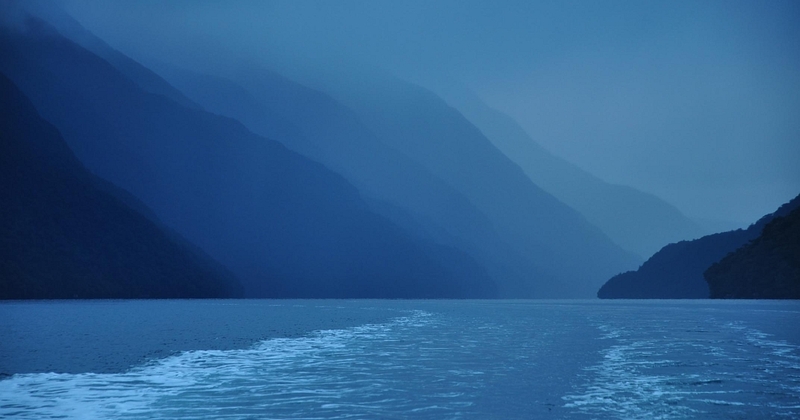 On dusk in the soft rain, classically Fiordland! 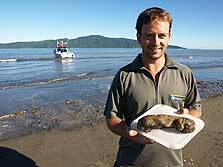 Resolution is a 21,000 hectare island with over 2300 traps, and 230 kilometres of tracks. It is named after Captain James Cook’s ship Resolution which landed in Dusky Sound during Cook’s Second Voyage in March 1773. 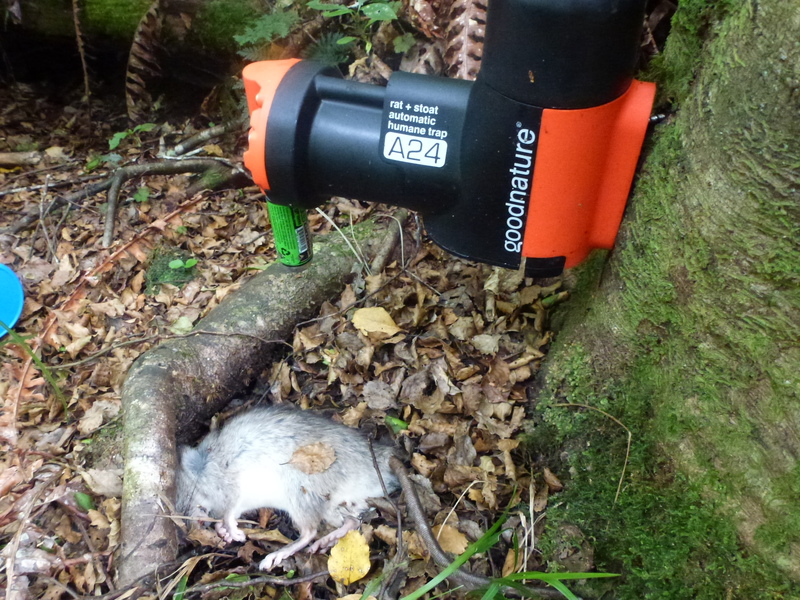 The week was spent checking stoat traps on various parts of the island. Every day had its own highlights: On Wednesday after sunset I saw fernbirds in the tussock. On Thursday evening I saw the Southern Lights, with beams of light shining over the sky. Friday offered me coastal views. 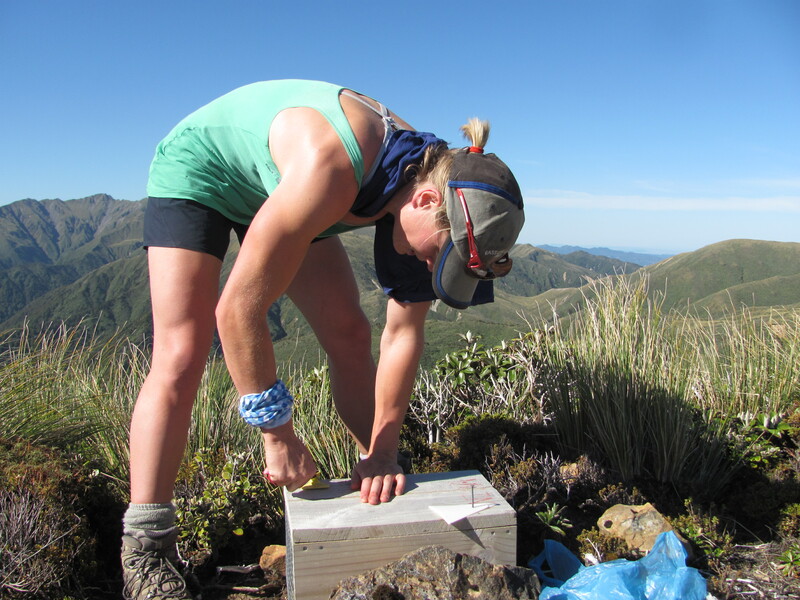 Saturday morning I spent checking traps and nailing heavy steel plates on the trap boxes to protect kea, while being watched by a falcon. Suddenly a robin flew by and the falcon tried to chase it without success. Then, a second robin arrived to argue with the first one over their territory. They did not care that above them sat the falcon, who was watching them quietly. Of course the most important highlight for me was that, despite checking hundreds of traps, I didn’t catch any stoats. The absence of this public enemy number one for New Zealand birds is no doubt one of the reasons for the astounding bird life on the island. 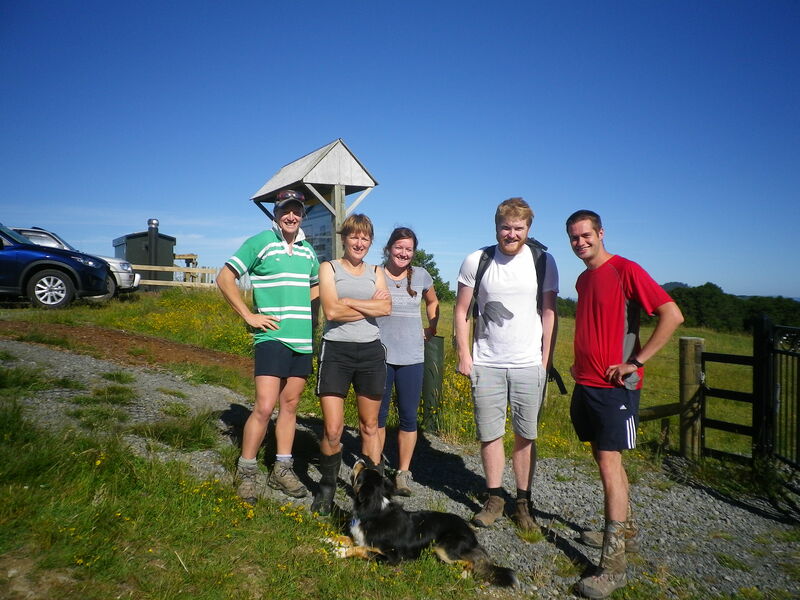 Bruce Murray and his daughter Lyndsay also volunteered to check some of the stoat traps for the week. 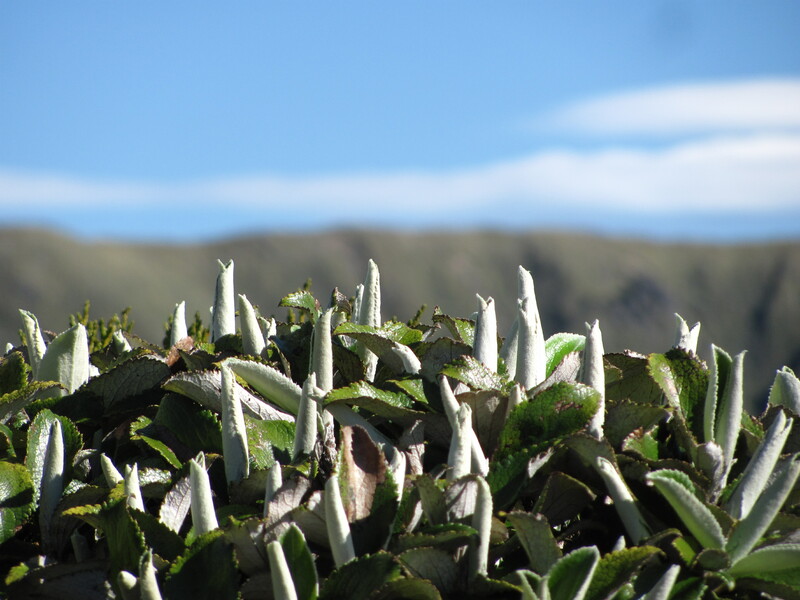 They were situated a bit higher up on Resolution Island and got some beautiful photos amongst the snow. All up only 11 stoats were found in the traps during the trip, a great result! 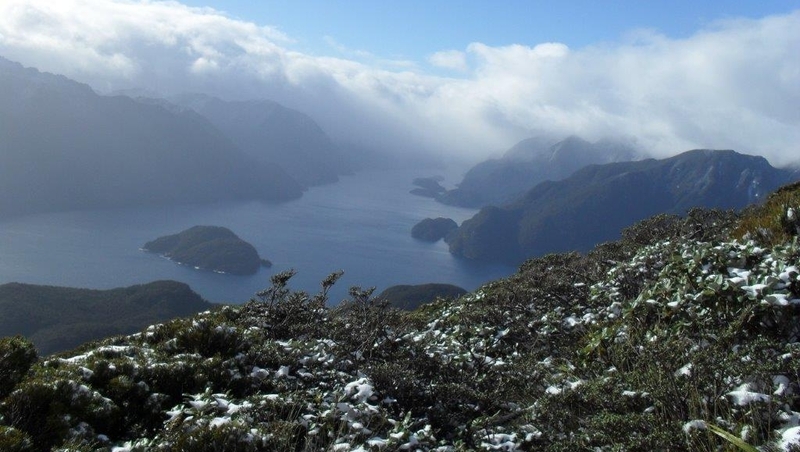 Read more about the recent trip to Resolution Island from Martin Sliva on the Fiordland Restoration website. Captain Whio (aka Biodiversity Ranger Tim Allerby) and his trusted side-duck, Duck Girl (Community Relations Ranger Moana Smith-Dunlop) have been tracking their arch-nemesis, Sinister Stoat, for some time. 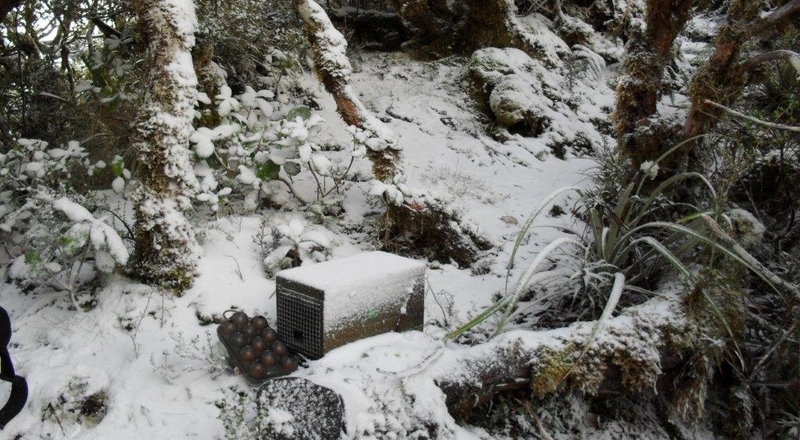 Thanks to their super powers, amazing whio tracking devices, and the sophisticated Stoat Proximity Alarm, the whiotastic superheroes have tailed the sneaky mustelid all the way from Fiordland, to Waikaremoana, Ohuka and eventually Ruakituri. They have the map with pins on to prove it! 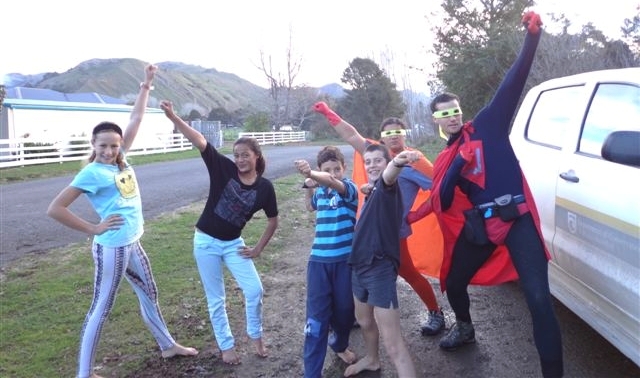 Children at Waikaremoana, Ohuka and Ruakituri Schools first came to Captain Whio’s attention as passionate whio fans when they stunned the superhero judges with their entries for an art competition run in the Te Urewera Whirinaki Area as part of Whio Awareness Month. The competition, inspired by the Whio Forever project, a whiotastic partnership between DOC and Genesis Energy, showed such awesome awareness and creativity from the children in the three schools that the caped duo were keen to meet the artists themselves. 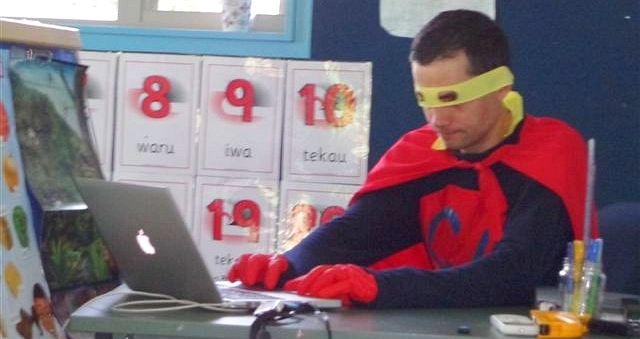 The urgency of the superheroes’ mission meant there was no time to waste. The children watched shocking footage of Sinister Stoat stealing eggs from whio nests the length of Aotearoa. 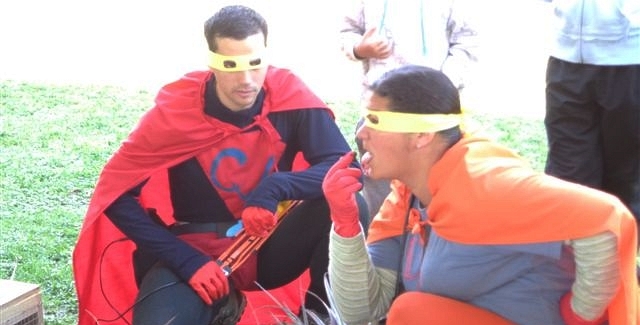 Ranger-reporter Jane from DOC seized the moment (and a microphone) and, with the children’s help, interviewed the caped heroes. Captain Whio was describing whio’s webbed umbrella feet, juju lips (beautifully demonstrated by Duck Girl) and prominent yellow eyes, when suddenly the Stoat Proximity Alarm on his Utility Belt went off. Captain Whio and Duck Girl immediately hot-footed it outside. The fledgling superheroes swiftly followed their mentors to see where Sinister Stoat was lurking. Earlier, Captain Whio and Duck Girl had planted a couple of stoat traps in cunning places. The first trap was empty, but nearby was a perfectly formed stoat poo. Could it be from Sinister Stoat himself? Stealthily, Captain Whio, Duck Girl and their duckling entourage advanced on the next trap. There was a stoat in it! Yes! Thwack! Could it be Sinister Stoat? 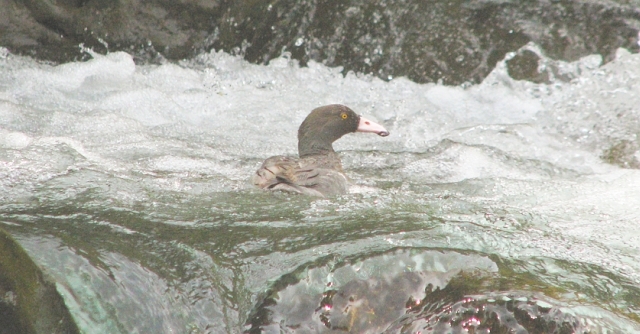 Could Captain Whio finally rest from his travails? Not just yet, Captain Whio.… After close inspection from Duck Girl, it was revealed that the lifeless body in the trap was one of Sinister Stoat’s henchmen and not the slippery egg-stealer himself. Sinister Stoat was still at large…. 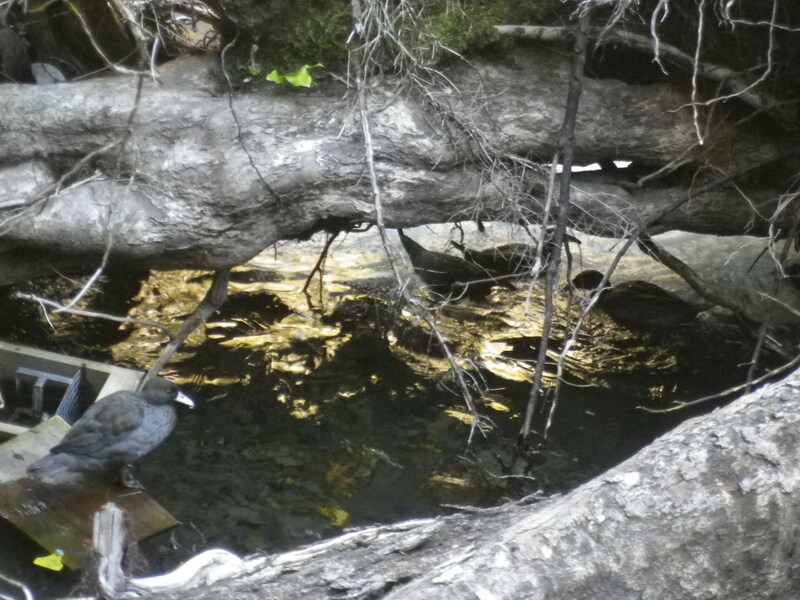 A whio safe from stoats.